The Uganda Tourism Board has given Shs4 million to Kwer Kwaro Acholi, the cultural institution, to boost tourism and also support cultural activities aimed at marketing the Acholi culture. The institution received the cash donation this afternoon from the Paramount chief’s palace in Kanyagoga Parish, Bardege Division in Gulu Municipality. The money was handed over by Acholi Tourism Association, a regional cluster of the 12 associations set across the country by Uganda Tourism Board. According to Kato Stonewall, the chairperson of Acholi Tourism Association, the money was pledged last year by UTB as a contribution towards the Acholi Cultural Festival in December, 2017. He, however, says that there were bureaucratic delays. “This money was supposed to be given last year to help in organising the festival but there were delays. Now we are giving the money to help Ker Kwaro Acholi and the organisers of the festival to pay any debts or run any activity in line with promoting the Acholi culture as long as they can account for it.” Kato said. Acholi Tourism Association, established in July 2017, is the latest of 12 clusters formed by Uganda Tourism Board to promote tourism in all regions. According to Kato, the association was formed to market tourism sites and treasures in Acholi Sub-region that have remained hidden from the rest of the world. “Our work is to market and support initiatives aimed at Marketing the Acholi culture. For instance, we have about 200 foods but only about 56 are eaten today. The Acholi have more than 52 dances and only 14 are now performed in events and at community levels,” Kato explained. 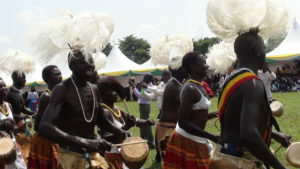 The Acholi perform dances according to the occasion. Dingi Dingi is performed by young virgins to show their beauty, Bwola is performed before a chief or to welcome a chief, Otole is a war dance while Larakaraka is a courtship dance among others. The Acholi Paramount Chief, Rwot David Onen Acana II thanked the UTB for supporting a cause to unite the Acholi and build confidence in them to market their culture and benefit from it. 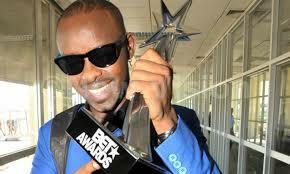 “People do not have a one stop centre to learn about Acholi culture. We need this kind of support and many other initiatives to reach out to the Acholi to have a point where whoever comes to Acholi land and wants to know something about our culture can go. What you would call a museum.” Rwot Acana said, adding that the Acholi should think of building an information centre to sell the rich culture to others as an opportunity for employment. Research shows that the Acholi Ethnic group have the highest variety of food world over with about 200 different dishes followed by India with about 190 foods. Tourists are fond of local dishes like Malakwang, traditionally prepared shear nut butter and green vegetables like Akeyo, Boo and lakotokoto among others. The Acholi eat foods with the aim to gain both nutritional and medicinal values to remain strong and healthy. 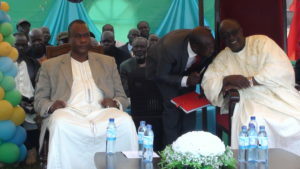 Lawirwodi Rwot David Onen Acana II (Left) With Rwot Apire (Right) of Atiak at a cultural ceremony in Atiak Sub County, Amuru District last year.